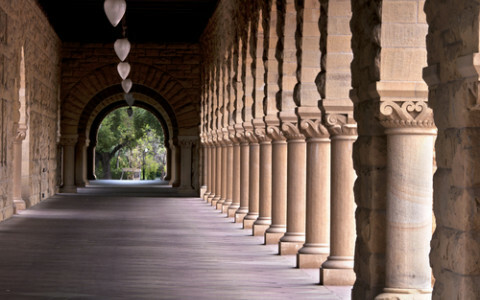 One of the world’s most elite institutions of higher education, Stanford University is located less than a mile from our hotel, giving you easy access to the university’s many outstanding cultural and intellectual attractions. We highly recommend taking advantage of Stanford’s guided tours, which are free and offered daily at 11:30 and 3:30 during the academic year. Your tour will introduce you to several of the best-known and most beautiful spots at the university, including the Main Quad, which is the historic center of campus, and the Memorial Church, whose interior Byzantine design is utterly breathtaking. You’re also welcome to stroll at your leisure, marveling at the pristine Romanesque architecture, exploring art from antiquity to today at the Cantor Center for Visual Arts, contemplating existence alongside The Thinker and other iconic statuary in the famous Rodin Sculpture Garden, or ascending 285 feet to the observation platform of Hoover Tower, where on a clear day you can see as far as San Francisco. If you’re anything like us, you’ve probably spent much of your life thinking of the cactus as a more or less plain stump uncongenial to sitting. And while it’s undeniably true that you should never confuse a succulent with a settee, these desert plants are anything but plain. 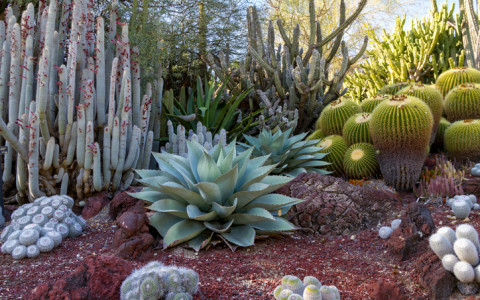 At the Arizona Cactus Garden, located on the nearby campus of Stanford University, you can explore a marvelous variety of cacti and succulents, some of which have been imported from far-flung corners of the world. The approximately 500 specimens in 58 beds are divided into two main categories: Eastern Hemisphere and Western Hemisphere. The Eastern Hemisphere plants include jade plants, aloes, and various succulents native to Africa, Asia, and Europe. The Western Hemisphere plants comprise cacti from regions spanning the Americas. The Arizona Garden is free and open to the public every day. One visit and you’ll never think of these prickly plants quite the same way again. On Tuesday, February 5, the Year of the Dog officially tucked its tail and settled down for a well-deserved rest, now replaced by the plump and perky Year of the Pig! If you missed the Chinese New Year’s Eve celebrations, fret not. On Saturday, February 23, in sunny San Francisco, just a scenic hour’s drive north of our hotel, over a million people will throng the Golden City’s Chinatown to attend the most impressive annual Chinese New Year Parade anywhere in the Western Hemisphere. You'll marvel at the sight of costumed school children, spectacular stilt walkers, lithesome lion dancers, elegant acrobats, and some of the most delicious food vendors ever to fry a dumpling. The air will explode with the sound of hundreds of thousands of firecrackers as the drummers below pound away to the beat of ancient Chinese songs. As if that weren’t enough, bringing up the tail of the parade will be the famous 268-foot Golden Dragon, powered by a hundred agile men and women dancing in tribute to the new year. From the hallowed halls of Stanford University to the thriving tech giants of Silicon Valley, the Stanford Park Hotel is surrounded by some of the most creative minds in the world. We’re guessing that, like them, many of you once gazed in wonder at common gadgets like radios, TVs, typewriters, toys, cameras, or clocks and asked yourself, “How does that work?” Whether you’ve kept that childlike curiosity aflame over the years or would like to rekindle the spark, the Museum of American Heritage is the perfect place to visit during your stay with us. Located in the historic Williams House, just a quick 10-minute drive from the Stanford Park Hotel, the Museum of American Heritage fills 11 rooms with fascinating gadgets electrical and mechanical from the 1750s through the 1950s. Six rooms are devoted to permanent exhibits, which include an early 20th-century kitchen and general store, an early auto workshop, and garage, and a fully operative print shop. The other five rooms are dedicated to the museum’s rotating exhibit Vintage Toys: It’s Child’s Play!, on display now through February 17, 2019. Mark your calendars. 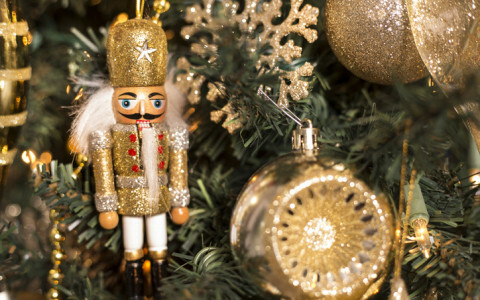 From December 14 – 16 and 21 – 23, the Menlowe Ballet will once again present its acclaimed holiday original It’s a Wonderful Nutcracker at the Menlo-Atherton Performing Arts Center, less than ten minutes from the Stanford Park Hotel. This brilliant and heartwarming production combines key themes and motifs from two Yuletide favorites, Frank Capra’s cinematic sensation It’s a Wonderful Life and Peter Ilyich Tchaikovsky’s beloved ballet The Nutcracker. Dancers pirouette, glide, and leap across the stage to a musical arrangement that effortlessly blends Tchaikovsky’s exquisite original score with the out-of-this-world jazz stylings of the masterful Duke Ellington. Prepare to laugh, gasp, and cry as your heart is warmed as only true holiday cheer can. The whole show runs about two hours, including one intermission, and is perfect for both kids and adults. One of the most beloved independent bookstores on the West Coast, Kepler’s Books has a rich and dynamic history stretching back more than six decades. Roy Kepler founded the store in 1955, and within a few years, it had become the literary hub for Stanford faculty and students and other community intellectuals. Joan Baez and Jerry Garcia liked to hang out there in the 1960s to discuss books, art, and political action with like-minded revolutionaries, and over the subsequent decades, the countercultural vibe continued to thrive. Today, Kepler’s is divided into two complementary entities, the shop itself, which is community-owned and for-profit, and the Kepler’s Literary Foundation, a non-profit entity that brings together artists, authors, and other innovators to give lectures, interviews, workshops, seminars, and more for the benefit of anyone interested in the arts, sciences, and current events. 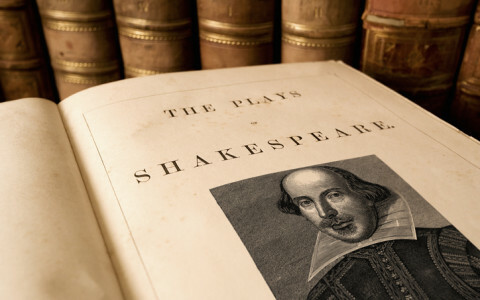 See what literary or cultural luminary is scheduled to visit during your stay with us, or just drop by to browse the eclectic collection of quirky and hard-to-find titles you never knew you couldn’t live without. A long-running Menlo Park tradition, Halloween Hoopla offers kids the chance to trick-or-treat at many downtown shops. Revelers who arrive in costume are welcome to march in the parade, which will take you all the way to Fremont Park, where you’ll have the chance to enjoy crafts, carnival games, and a magic show. Head to Pioneer Park in the neighboring city of Mountain View for crafts, costumes, and games. You’ll also be treated to an outdoor screening of a Halloween-themed movie. If you miss Monster Bash (or just want to continue the party), stop by the Onetta Harris Community Center for the Spooky Carnival, a free festival that has delighted kids with snacks, games, and face painting for more than a decade. Don your scariest get-up for a chance to win the costume contest. One of the premier performance ensembles in the San Francisco Bay Area, the Dragon Productions Theatre Company in nearby Redwood City has spent years nurturing the artistry of emerging talent and establishing strong bonds with the local and regional community of theater lovers. Conveniently located just 15 minutes from the Stanford Park Hotel, this theater is the perfect spot for a night of dramatic art and action. Next up on the stage, from September 14 through October 7, you can enjoy Madeleine George’s The (curious case of the) Watson Intelligence, a 2014 Pulitzer Prize finalist. George’s play tells the story of four Watsons: one the famous assistant to Sherlock Holmes, one the engineer who aided Alexander Graham Bell, one the supercomputer built by IBM to face-off against Jeopardy! all-stars, and one a 21st-century nerd in search of romance. By weaving these four timelines together, the play offers a poignant commentary on the capacity for technology to unite us, even as it rends us apart. Best of all, the theater itself is an intimate 65-person venue, meaning that, wherever you sit, you’ll have the perfect view of all the enchanting action. California is one of the major wine-producing regions of the world, and during your stay with us, we highly recommend a tour of one of the area vineyards or wineries. Though there are many great options to choose from, one of the most fun and unusual choices would have to be AutoVino, conveniently located right here in Menlo Park. Don’t be fooled by the facility’s industrial exterior. Within you’ll discover a superlative winery, with a tasting room open Saturdays and Sundays from 11 A.M. to 4 P.M. Along with the various varietals, you’ll also be treated to a delicious serving of wood-fired pizza prepared fresh onsite. But that’s not all. AutoVino, as the name implies, also houses a wide range of elite luxury and sports cars, which means you’ll have the chance to appreciate all the Bentleys, Porsches, Jaguars, Aston Martins, Lamborghinis, and more as you compare vintages. One of the most popular performance events of the year, the Central Park Summer Concert Series in the city of Fremont attracts thousands of visitors eager to kick back under the warm California sun and relax to the tunes of popular local and regional bands. This season’s line-up includes rockin' Journey tribute band Majestic Journey (July 12); Pop Fiction, which specializes in the hits of the 70s and 80s (July 19); Latin Funk sensation Tortilla Soup (July 26); 80s rock ensemble Rock Skool (August 2); Kenny Metcalf, who will convince you that you’ve been transported to an Elton John concert circa 1972 (August 9); and East Bay Mudd, bringing you big brass and all the biggest R&B hits (August 16). All concerts take place on Thursday evenings from 6 to 8 P.M. at the Central Park Performance Pavilion next to stunning Lake Elizabeth. Pack yourself a picnic and blanket, and get ready to dance, sing along, or just lie back and let the rhythm flow over you. Ninety years ago, Delight and Garfield Merner decided to establish an arts guild modeled on the ones they had experienced firsthand during their European travels. Today, the 3.5 acres of land they purchased to make their dream a reality is home to the Allied Arts Guild. During your visit, you’ll marvel at the shops and studios where local artists and artisans sell handmade goods, including jewelry, apparel, furniture, paintings, drawings, etchings, sculpture, and much more. Savor a fresh, organic meal at the Blue Garden Café, and feel transported to the Old World as you wander through three meticulously manicured Spanish gardens: Cervantes Court, The Court of Abundance, and The Garden of Delight (also known as The Blue Garden). Make sure you check out the Artisan Shop, too, where part of your purchase will be donated to the Lucile Packard Children’s Hospital at Stanford. What would a vacation be without a day of retail therapy? Fortunately for guests of the Stanford Park Inn, you’re just around the corner from Northern California’s finest open-air shopping and dining spot. The Stanford Shopping Center features over 140 unique specialty shops, from Apple to Aveda, Coach to Crate & Barrel, Kiehl’s to Lacoste, and Tesla to Tiffany & Co. Major department stores include Nordstrom, Neiman Marcus, Macy’s, and Bloomingdale’s, and dining options also abound. Opt for something high-end like the Asian fusion cuisine of Yucca de Lac or the farm-fresh beef and seafood at Fleming’s Prime Steakhouse & Wine Bar, or keep it casual at California Pizza Kitchen and Chipotle Mexican Grill. As an added treat, the Stanford Shopping Center also boasts an expansive world-class garden with fountains and sculptures that will almost surely inspire a few selfies. At the Stanford Park Hotel, we’re very lucky to be right next door to the top-tier university that shares our namesake. As one of the finest institutions of higher learning in the world, Stanford University not only attracts some of the greatest minds to study in its hallowed halls; it also provides visitors countless opportunities for intellectual and cultural enrichment. Free guided tours of the campus are available every day at 11:30 and 3:30 during the academic year, but you can also easily grab a campus map and roam at your leisure amid the exquisite Romanesque architecture and lush greenery. Marvel at the dazzling Byzantine designs that adorn the interior of Stanford Memorial Church, or ascend 285 feet to the top of Hoover Tower, where the panoramic view stretches all the way to the San Francisco skyline on a clear, sunny day. Art lovers will be delighted by the two dozen galleries at the Cantor Center for Visual Arts, which features major works from antiquity to today, and the Rodin Sculpture Garden will instantly transport you to Paris with iconic sculptures like The Thinker and The Kiss. This month, guests of the Stanford Park Hotel are in for a very special treat. On Sunday, March 25, at 6:30 P.M., the acclaimed Ragazzi Boys Chorus will perform its highly-anticipated From East to West concert, designed to “take audience members on a cross-cultural, global tour.” And if there’s one thing these boys know (aside from music), it’s touring. In addition to performing regularly with the San Francisco Symphony, San Francisco Opera, and Opera San Jose, the Grammy Award-winning Ragazzi Boys Chorus travels all over the world, from Canada, to Cuba, to Korea, captivating audiences with their versatility, precision, and exquisite harmonies. For this concert at St. Peter’s Episcopal Church, just a short 15-minute drive from our hotel, the boys will perform great works of the western tradition coupled with selections from India, China, Japan, Korea, and the Cherokee Nation. To purchase tickets online, visit the Ragazzi Boys Chorus official website here. Ensconced in Northern California’s gorgeous countryside and blessed with the rich variety of cultural attractions that an internationally renowned university brings, there are few reasons for Stanford Park Hotel guests to venture far. 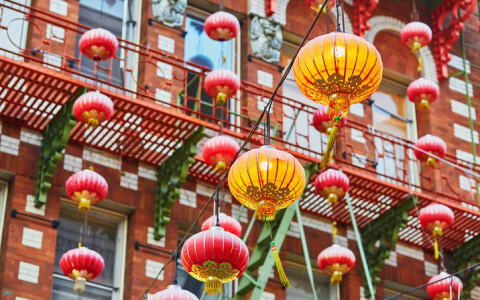 But if there’s one day of the year we definitely recommend making the scenic hour’s drive up to San Francisco, it’s the day of the annual Chinese New Year parade. On Friday, February 16, the Year of the Rooster officially becomes the Year of the Dog, and one week later, on Saturday, February 24, San Francisco’s Chinatown will stage the most massive, spectacular Chinese New Year celebration outside of Asia. The streets will resound with the beat of hundreds of drums and hundreds of thousands of firecrackers as more than a million revelers join together to marvel at the procession. Marchers will include costume-clad school children, agile acrobats, ferocious lion dancers, and the one-of-a-kind, 268-foot Golden Dragon, operated by a hundred martial-arts trained men and women. Are you interested in technology? 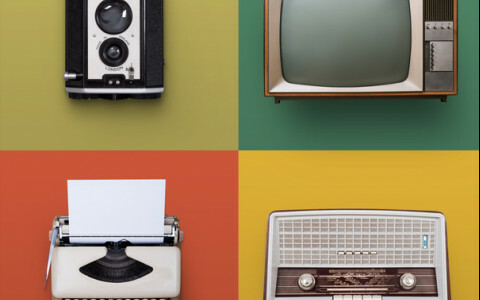 Do you like to know what makes things tick, things like clocks, cameras, typewriters, toys, radios, TVs, household appliances? If you’ve ever gazed in wonder at the mechanical world, then you might enjoy a trip over to the Museum of American Heritage, located in nearby Palo Alto in the historic Williams House. The Museum of American Heritage is devoted to all inventions mechanical and electrical from the mid-eighteenth through the mid-twentieth century. The permanent exhibits, which fill six rooms, feature a working print shop, an early twentieth-century kitchen, a 1920s style general store, and an auto garage from the same period. The five other rooms, which contain a rotating exhibit that changes throughout the year, currently showcases Thomas Edison and His Rivals: Bringing Electricity to America, which will continue through February 18. The Williams House itself is an exquisite example of Tudor Revival architecture, and the adjacent garden offers a lush, shaded spot for quiet contemplation. From Friday, December 15, through Sunday, December 17, the Menlowe Ballet is proud to present four performances of It’s a Wonderful Nutcracker at the Menlo-Atherton Performing Arts Center, just a ten-minute drive from the Stanford Park Hotel. It’s a Wonderful Nutcracker combines elements from two different holiday favorites, Peter Ilich Tchaikovsky’s masterful 19th-century ballet The Nutcracker and Frank Capra’s 20th-century cinematic hit It’s a Wonderful Life. You’ll marvel as lighter-than-air dancers glide and arc across the stage to music that blends Tchaikovsky’s original orchestral score with jazz riffs composed by the inimitable Duke Ellington. Don’t forget to pack the tissues: with the themes of It’s a Wonderful Life threaded through the production, this show really tugs at the heartstrings. The performance, which runs around two hours and includes a fifteen minute intermission, is appropriate for adults and children age 5 and up. Put on your scariest costume and join revelers as they march through downtown and on to Fremont Park, where bags will be provided to all the kids so they can trick-or-treat at participating downtown businesses. With games, crafts, live music, and magic acts, this communal celebration is not to be missed. October 28, 11 – 2 P.M. The parade kicks-off at the Maloney Street parking lot behind Cheeky Monkey. Theater companies abound in the San Francisco Bay Area, but few are as committed to fostering individual artistic achievement and creating substantive, lasting bonds with the community than the Dragon Productions Theatre Company. Located in nearby Red City, just a short 15-minute drive from our hotel, the Dragon Theatre’s intimate performance space accommodates 65 spectators, ensuring that every seat offers the perfect view of the action (which often extends beyond the confines of the stage and into the audience). Starting September 15 and running through October 8, the Dragon Theatre will present a new play, Cirque Exotique du Monde, which chronicles the lives of a hodgepodge team of circus players in 1936 Berlin whose freewheeling performance space becomes a crucible of political and personal turmoil when Frau Magda Goebbels takes a keen interest in their show. In addition, from now through December, the theater will stay up late one Friday per month for their Late Night Series, bringing sketch comedy, improv, stand-up, and music to the 21+ crowd. There are few experiences as characteristically Californian as a leisurely drive along the gently curving mountainside, the ocean waves lapping against the shore below, the sun shining warm above as you make your way to some of the world’s most celebrated vineyards. The Bay Area may not be Napa Valley, but at AutoVino, right here in Menlo Park, you can enjoy two key elements of that quintessentially Californian fantasy: fine wine and fast cars. Despite its curiously industrial exterior, AutoVino houses one of the best wineries around. Stop by any Saturday or Sunday between 11 A.M. and 4 P.M. to be treated not only to an assortment of choice vintages, but also to the scrumptious wood-fire pizza prepared fresh onsite. What about the cars, you say? AutoVino is not just a winery. It’s also a storage facility for high-end luxury and sports cars, which means your wine and gourmet pizza will be served with an up-close look at Bentleys, Aston Martins, Ferraris, and more. We know you work hard, and that often means sitting in an office all day. So when you come to a place as beautiful as California, you just want to kick back and let the mild California sun rejuvenate your mind and body. This July we recommend taking in a free outdoor performance at the wildly popular Central Park Summer Concert Series in nearby Fremont, just a short drive from our hotel. Thousands of revelers will sprawl out with friends and family on the lush grounds of the Central Park Performance Pavilion to hear groups like Caravanserai, the Santana-tribute band that’s now garnered its own cult following; Pop Fiction, a group that will have you singing along to all the greatest pop hits from Frank Sinatra, to Michael Jackson, to Katy Perry; and Jukebox Heroes, a Bay Area sensation that’ll get you on your feet and dancing like a maniac in no time. And that’s just a small sample of what’s in store Thursdays from 6 to 8 P.M., now through August 3. The Performance Pavilion is located in Central Park, next to 40204 Paseo Padre Parkway, Fremont, CA 94538. When Delight and Garfield Merner purchased 3.5 acres of land on the cusp of Menlo Park, their ultimate goal was to establish an arts guild in California that would celebrate the work of world-class local artists in a pristine setting. In just a few short years, that vision had become reality in what is today known as the Allied Arts Guild. Visitors to the Guild can roam through three authentic Spanish gardens: The Court of Abundance, The Garden of Delight (or, the Blue Garden), and Cervantes Court. Enjoy lunch prepared from fresh, local ingredients at the Blue Garden Café and chose from over a dozen shops and studios that craft and sell items like handmade jewelry, couture clothing, furniture, paintings, etchings, sculpture, and more. And remember, all purchases made at the Artisan Shop help fund the Lucile Packard Children’s Hospital at Stanford. In addition world-class universities and wine country, the Stanford Park Hotel is also located within easy driving distance of Northern California’s number 1 open-air shopping and dining destination, the Stanford Shopping Center. With over 140 world-class shops, including high-end retailers like Bloomingdale’s, Macy’s, Nordstrom, and Neiman Marcus as well as many local favorites, the Stanford Shopping Center has something to suit everyone’s taste. Dining options also cover a wide range: you can keep it ultra causal at Gourmet Franks, which serves the best tasting all-beef, chicken, or turkey hotdogs this side of the Rockies, or you can opt for a more elegant lunch experience at Terrain Garden Café, brought to you by James Beard Award winning Chef Marc Vetri. Dinner favorites include Cantonese Asian fusion restaurant Yucca de Lac and Fleming’s Prime Steakhouse. And even if you leave your wallet at home, you’re still sure to enjoy the gorgeous gardens, fountains, and sculptures that make Stanford Shopping Center a unique and memorable experience. During your stay at the Stanford Park Hotel, we highly recommend that you borrow a Linus bike and ride down to the university campus that shares our namesake. Student-led tours are offered every day at 11 and 3:15, but you can just as easily make your way around unaided, save for a small campus map. The manicured lawns and pristine Romanesque architecture would in themselves be enough to merit a morning or afternoon strolling the grounds. In addition to the natural beauty of the campus, however, there’s also the Stanford Memorial Church, whose Byzantine details and elaborate mosaics recall the cathedrals of Venice. Climb to the top of Hoover Tower, where you can take in awe-inspiring views of the surrounding area. Or head over to the Cantor Center for Visual Arts, where you can choose from 24 different galleries. And before you leave, you must see the Rodin Sculpture Garden, where you’ll come face-to-face with such sublime works of art as The Thinker, The Kiss, and even Dante’s infamous Gates of Hell.